Mary Agnes (Graham) Roberts, 97, of Great Falls, passed away on Monday, March 18, 2019. Cremation has taken place per her wishes. A Memorial Service will be held on Friday, April 12th at 11:00 AM at the First Congregational Church in Great Falls. Born in Minot, North Dakota, December 12, 1921. She moved to Great Falls with her parents, Edna Sears Graham and Robert McKoy Graham and her two older brothers, Robert M. Graham Jr. and William Maclean Graham in 1923. Cremation has taken place. A Memorial Service will be held on Friday, April 12th at 11:00 AM at the First Congregational Church in Great Falls. “M.A.” was very active in High School activities, music, sports and class events. She graduated in 1939. It was during a summer spent at the Interlochen National Music Camp in Northern Michigan that she determined that she would major in music education, which she did at Northwestern University in Eastern Illinois. Graduating in 1943, while there she was proud to be a member of Kappa Kappa Gamma and was elected president in her Senior year. 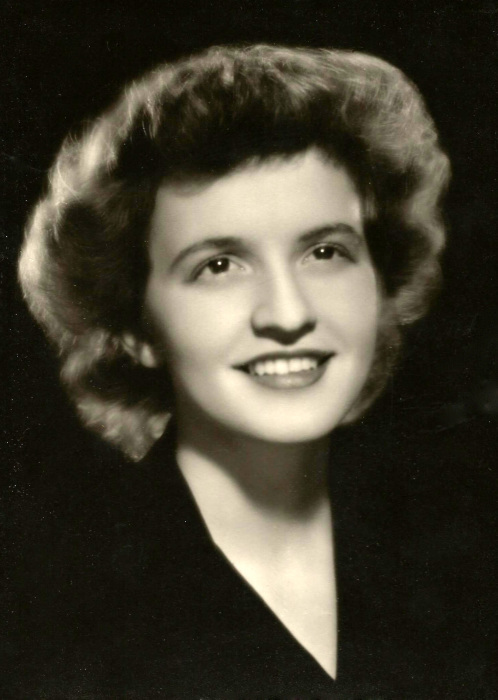 She was a performing member of the Northwestern Symphony and participated in numerous campus activities, taking advantage of the many opportunities afforded by a large city such as Chicago was a thrill and an education in itself. No one enjoyed college more than “Gray”. Hardly anyone had more nicknames than Mary Agnes. With two older brothers, and sort of an unusual double name, it was inevitable that she would be called “Sis” through her early years and into her teens. It was while at Interlochen and Northwestern that she was nicknamed “Gray”. Later she would marry “the boy next door” and become known as “M.A.” It became the way of identifying the era of each friendship. Following college graduation, she taught K-12 music in Malta, MT. She then accepted a Kappa Graduate Counselorship at the University of Washington where she completed graduate work. After that year the Kappa offered her a dream job as a field secretary which took her on visits to some 65 – 70 chapters in two years on college campuses across the United States and Canada. All by train because it was early before the days of commercial airliners. What a great time! And by now, World War II was over, and she married Lt. William B. Roberts in Great Falls on July 19th, 1947. After a delightful year in Kalispell, an opportunity arose and they returned to Great Falls to make their permanent home where they both became active as volunteers. “M.A.” served in a number of organizations including the PTA, Camp Fire Girls, Boy Scouts, etc. As the children grew older, she was honored with being elected the first woman moderator of the First Congregational Church, president of the Community Concert Association (which her mother had first helped found in the 1930’s), president of Chapter I. PEO, outstanding sustainer of the year by the Junior League of Great Falls, she continued her interest and loyalty in Kappa Kappa Gamma throughout her life. 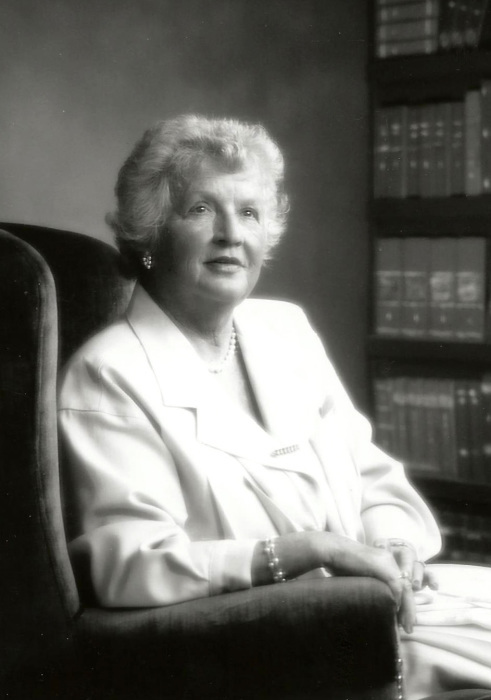 After several chairmanships and serving as convention chairman of six national Biennial Conventions she received the fraternity’s most prestigious honor, the Loyalty Award. As a founder and performing member of the Great Falls Symphony Association, she was honored by being named a lifetime board member. She was also founder of the Montana Association of the Symphony Orchestra and served two terms as president. In 2000 she was awarded at a local concert their Volunteer Leadership Award. In 1991 she received the Governor’s Award for service to the Arts and was asked to serve on the American Symphony Orchestra League’s board of directors which she did for two years. Her interest in travel started as a youngster when she and her family took a number of trips through the Midwest and West. The Kappa job had created more interest and in the 80’s she and a Kappa friend decided to go to Salzburg, Vienna and in the Bavarian Alps, at one of King Ludwig’s castle’s we heard glorious chamber music. The castle was illuminated solely by thousands of candles and was awe inspiring. We decided that we would like to travel, two or three weeks a year to countries other than ones each had traveled to before and so started out in India, Nepal, Tiger Tops, Kashmir and Tunisia. We also traveled to Berlin, before the iron curtain was torn down and were allowed to go through “checkpoint Charlie” to East Berlin and on to Potsdam, Turkey, Peru, and Macho Pichu and the Natzoa Lines; a mail boat up and down the coast of Norway to the North Cape; Singapore and Indonesia, including Jakarta, Bali and Sulawesi. Obviously, I have written this myself. For those of you who do not like “obits” at best, or travelogues, I apologize. This is really more for the family history. Basically, I am a modest person though this does not make me to appear that way. Again, I apologize. You have been very patient. I’ve had a full and lovely life filled with a wonderful family, dear friends and adventures of all kinds. I also had a deep love for music, my little “Shangri-La at Lake McDonald, the Boulder River Ranch, fly fishing on the Boulder River, swimming and most spectator sports, and all of the family pets. Most recently “Barnaby” and “Abigail” and after their passing our present wonderful cat; “Bridget” from the animal shelter. She was preceded in death by her parents; brothers, Bob and Bill and daughter, Jane. She is survived by her son; Geoff (Nancy) of Kalispell, niece; Robin Bailey and nephews, Bob Graham of Kalispell and Kim S. Graham (Barbara) of Minden, Nevada; two grandsons, Jay (Jennifer), Bozeman and Zachary of Kalispell; several grand nieces, nephew, and two great grandsons, Riley and Connor in Bozeman. For those of you who might wish to make a memorial, please make it to your choice and know that it will be appreciated by all.